Tammy over at Not Just Paper & Glue has proven even dog food can look classy. Check out how she revamped a rusty garbage can into this pretty place to store food or her pooches. Lucky dogs indeed! 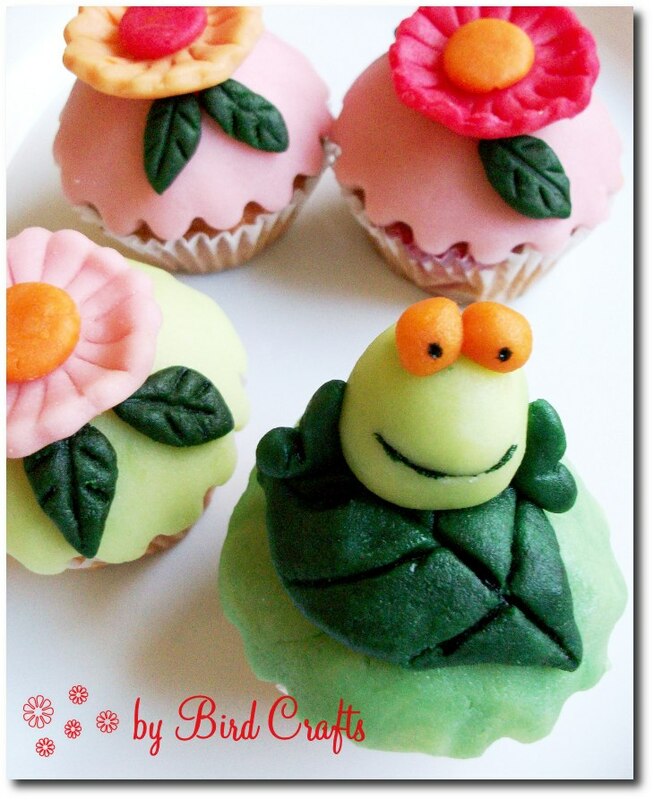 The incredibly crafty Bird from Bird Crafts linked up her fab DIY cupcakes that feature these cute decorations made from marzipan. So lovely AND tasty looking! This adorable shadow box bank was made by Ashley at Cute As A Fox using a tutorial she found at MaryJanes & Galoshes (another of my fave blogs). Thrifty and really cute. I'll be adding this to my projects to-do list. Maybe I'd save a little more money if I had a cute place like this to put it in! If you've been featured, be sure to grab the Featured On Sew Can Do button & add it to your blog to tell everyone about it. Thanks to everyone who linked up a craft project this week. Come on over tomorrow & join in the next Craftastic Monday! Thank you for featuring my metal can! The cupcakes and bank are darling :) Have a wonderful day! 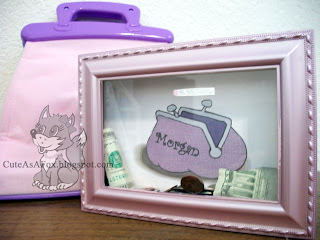 Cute blog - I'm getting my new project ready for your crafty link-up tomorrow!